Hello Friends, Are you one of them who are facing problem iTunes 4013/4014 Error while restoring or upgrading your iPhone or iPad? Do you want to fix iTunes Error 4013/4014 Permanently? then I must say Today in this post I am going to show with you How you can solve Error 4013/4014 iTunes on your iPhone Device. This problem occurs whenever prevent them from upgrading to the latest iOS version via iTunes. 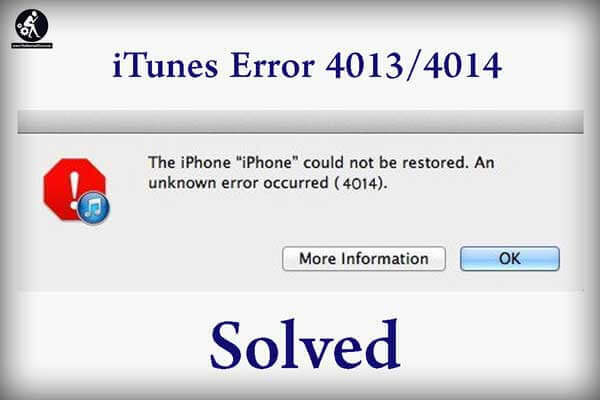 I am going to show you Top 3 ways to resolve iTunes Error 4013/4014 issue solution permanently from your iPhone device. 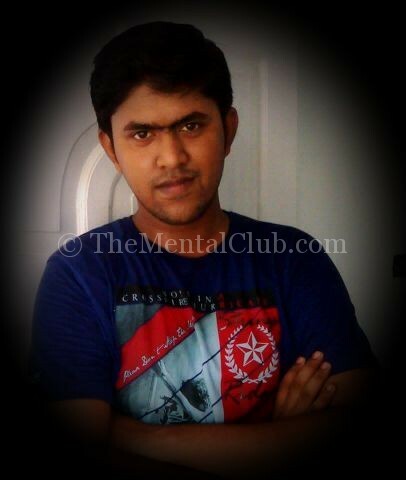 iTunes error 4013/4014 also known as iPhone error 4013 and iPhone error 4014. Actually, iTunes Error 4013/4014 hardware related error which is mostly seen due to a faulty cable or faulty port. To put it simply, the error is actually due to problems in connectivity between your PC / Mac and iDevice. When you connect your iOS device to PC, although the device was recognized by your PC and there seems to be no loss of connection alternatively there are some faulty cables that hinder the transfer of data. In the previous article, we have discussed some common iTunes error like iTunes error 14, iTunes error 9, iTunes Error 3194. Here we will show you 3 ways to fix iTunes error 4013/4014. This software allows to fixing numerous iTunes scanning issues. Free Download this amazing software and fix iTunes error 4013/4014 quickly. 1. After downloading, run Tenorshare TunesCare and click “Fix All iTunes Issues” to start repairing iTunes. 2. Next, Now you’ll see an iTunes performs abnormally. Click “Repair iTunes” to download the iTunes repairing drives. 3. After downloading the repairing drives for iTunes, TunesCare will automatically start to repair your iTunes. When repaired successfully, your iTunes will restart automatically. This method is usually recommended as the last-thing-to-try if all other method didn’t work for you. To repair your iPhone/iPad operating system, you need the help a professional system care tool that provides an easy way to fix all issues related to the iOS operating system. In this way, you can also fix the iTunes errors. Instead of using the traditional way to enter recovery mode manually, Tenorshare ReiBoot offers you an easier way to put the iOS device into recovery mode with 1 click. 1. Connect your iOS device to the computer via the OEM USB cable. 2. As Tenorshare ReiBoot detect your device, click “Enter Recovery Mode” to put your device to recovery mode automatically. If your device displays the classic USB to iTunes logo, it enters recovery mode successfully. Best Data recovery Software for Windows, iPhone and Android phones. As iPhone error 4013 issue is almost a hardware related problem as a faulty port and a faulty cable. So, for fixing this kind of issue you need to check the USB port and connector. Remember: Use the USB cable that came with your phone. If you don’t have it, try a different Apple USB cable. If till not works try to use different USB port on your PC. Don’t plug into your keyboard. Try to plug into a different PC or laptop.